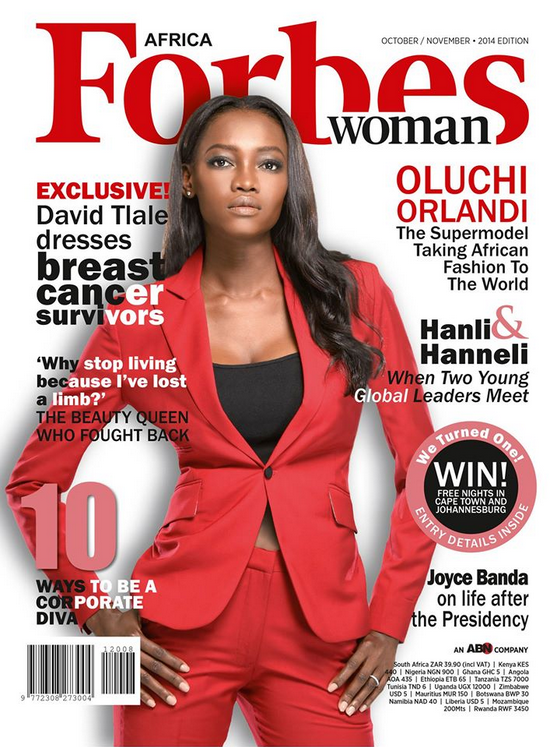 Super model, Oluchi Orlandi graces the Oct/Nov. cover of Forbes Africa. The mother of two looks radiantly beautiful in a red two-piece suit by Mai Atafo. Oluchi is the host and one of the judges of African’s Next Top Model. Also gracing the cover of TW magazine is, the beautiful, award winning Nigerian actress, Rita Dominic. In the mag, Rita dishes about how the passing of her number one fan, her mother affected her – marrying her dream man and making a name for herself in Nollywood. The fashion editorial feature for TW Mag. 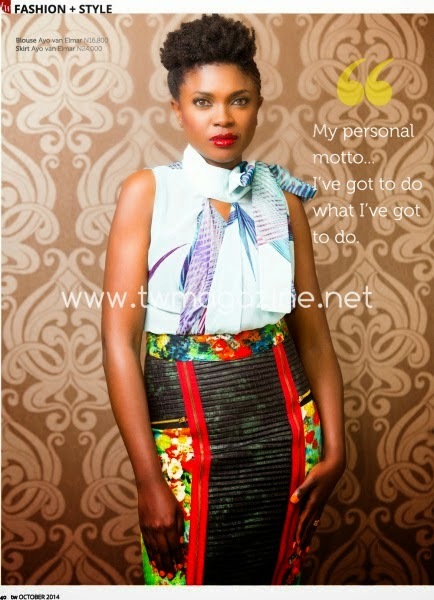 this month is none other than the natural beauty actress, Omoni Oboli. The star is looking gorgeous in Ayo Van Elmar’s Spring/Summer 2015 collection.